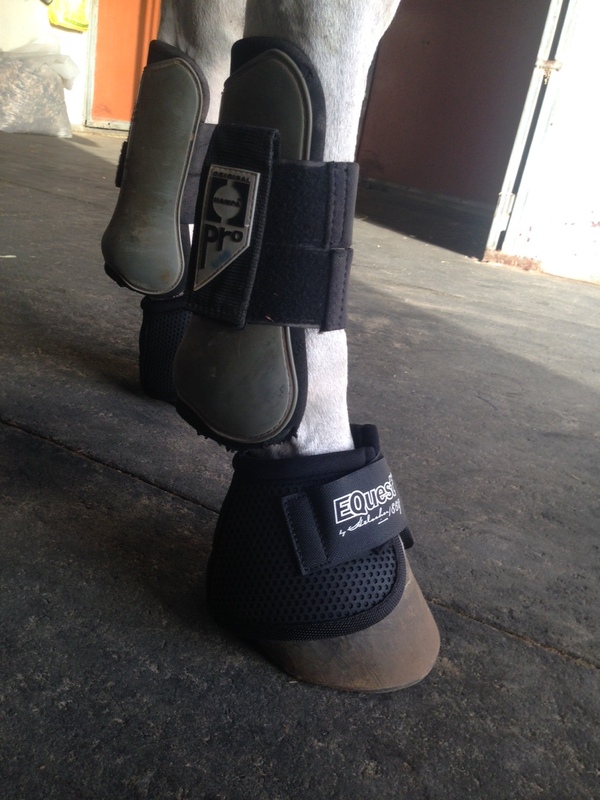 I got the eQuest Pro-fit Overreach boots (in Medium) from Equestrian Solutions as I was looking for a very protective bell boot that can be used for when I hack and gallop in the desert. Therefore, I needed something that is sturdy, protective, durable, and lightweight. 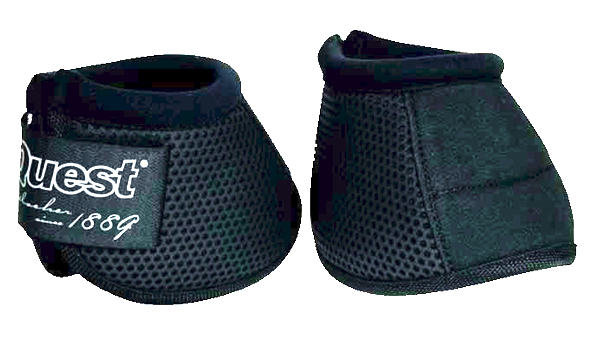 Overreach boots with best fitting and anti-twist knob; protect the hoof and heel from injuries; heavy duty TPU outer material. 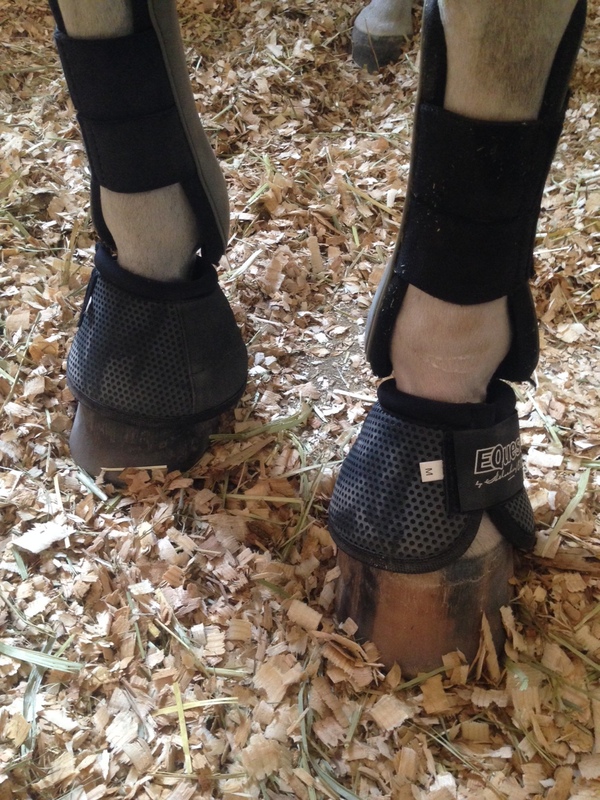 Note: You can read about the importance of bell boots/overreach boots here. The material is super tough which I absolutely love! It has a honeycomb looking exterior and suede like material on the back heel side. 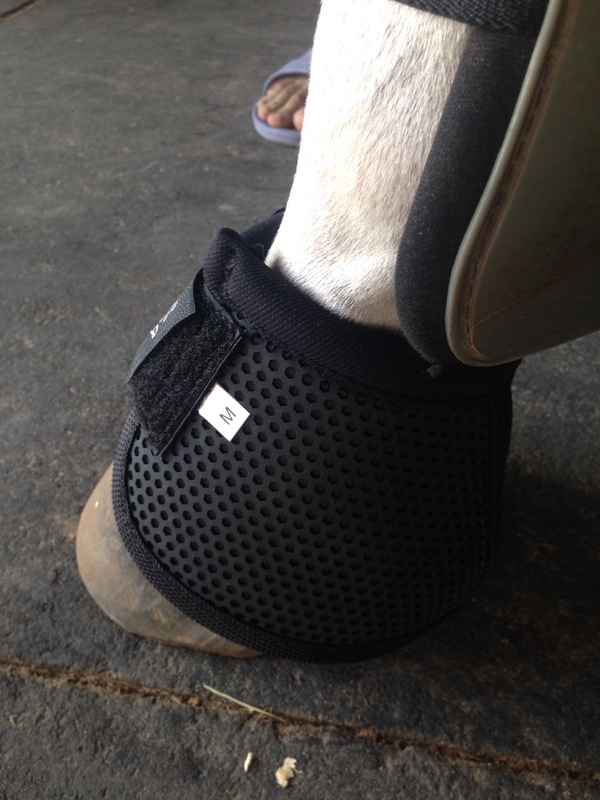 It is lightweight and has a strong double velcro closure. 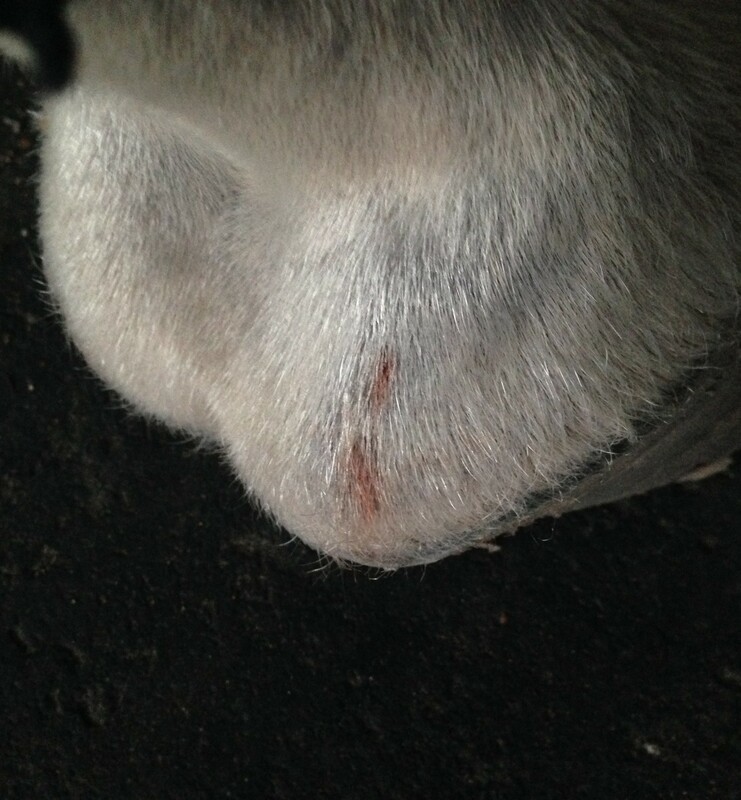 The fit was nice and snug on Tofino, and it covers his full heel. 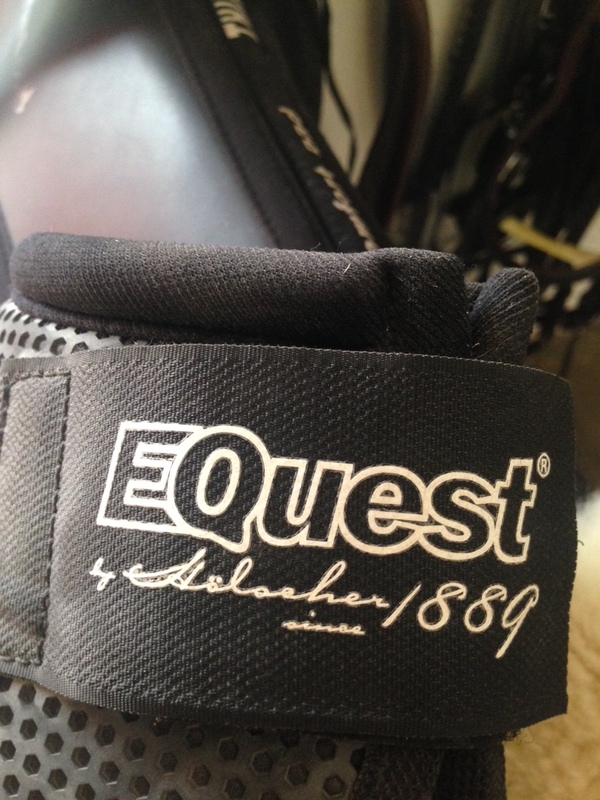 During our first ride using these boots, which consisted of only walk and trot, the overreach boots made a good impression, however, they did attract dust/debris, and for a boot that is advertised as “anti-twist”, they did twist slightly and rise up. 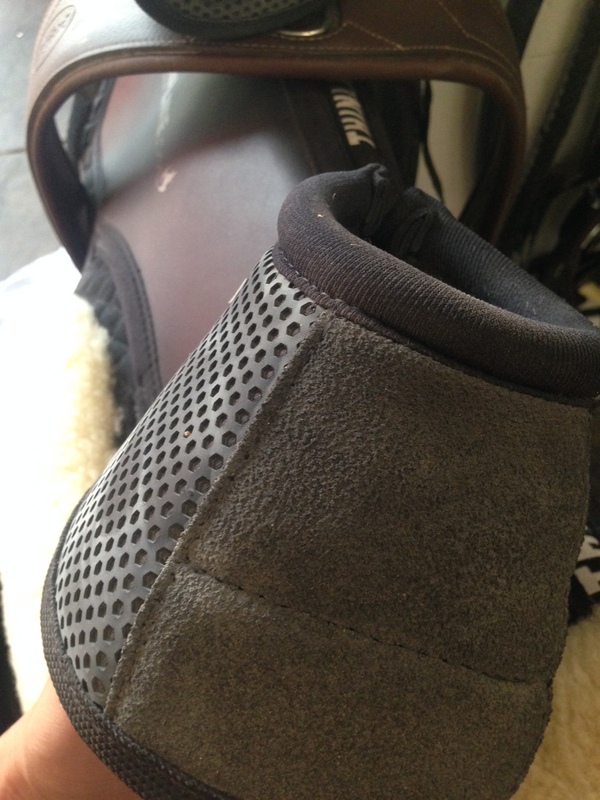 As it twisted slightly in our first ride, I made sure to tighten the velcro to avoid further twisting in our second hack. As we went out, Tofino kept lifting his legs strangely. I looked down and the “no turn” bell boots had turned already. 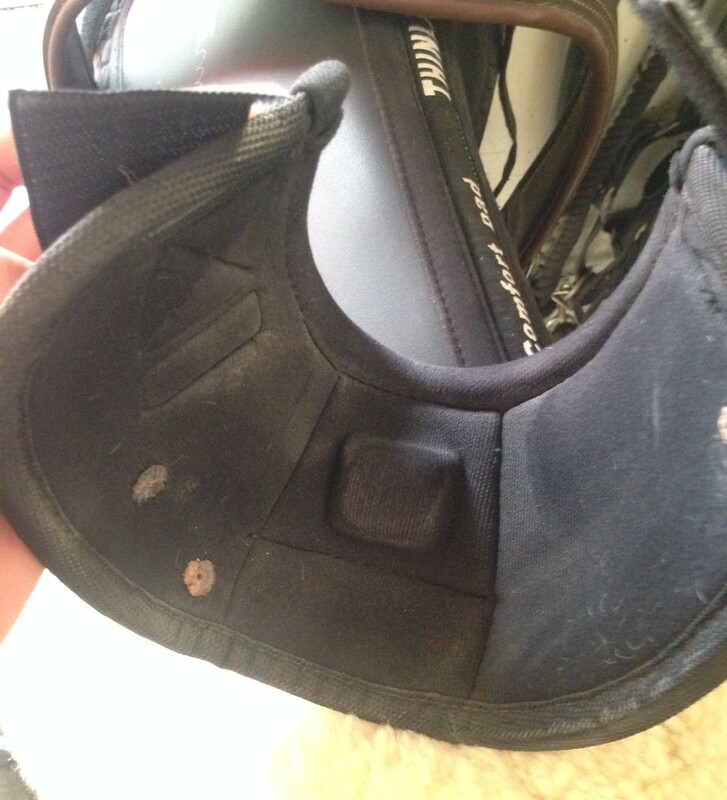 I decided to continue and try it at a canter and see how it goes. Big fail! 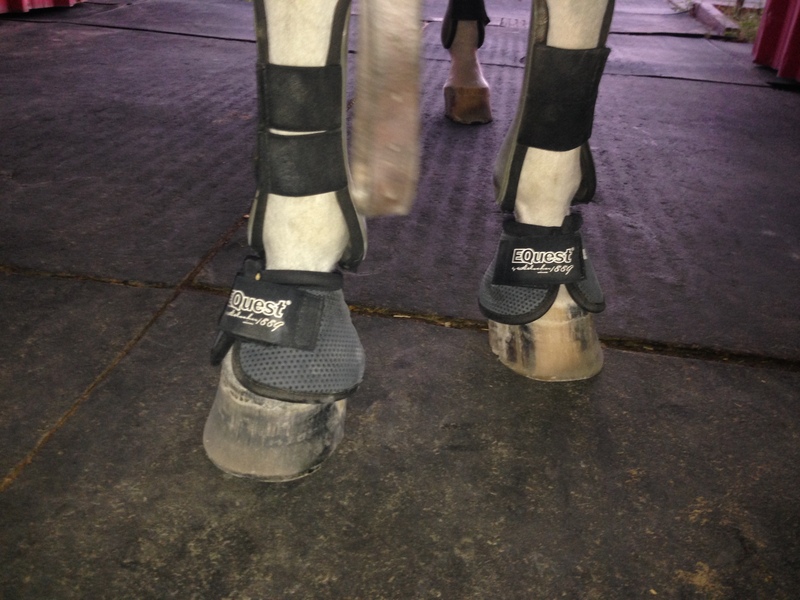 Once we got back the boots had gone completely out of place, angle wise and height wise! They twisted and went up. Once I removed the boots Tofino had very slight cuts. The boots attracted these spiky plant parts which stuck to them and scratched his leg. I am not sure whether they keep turning on Tofino because he is not shod or not. That could be a reason. If you have tried these please do let me know your personal experience with them. They are nice boots but not suitable for us. Verdict: I personally would not recommend these overreach boots. 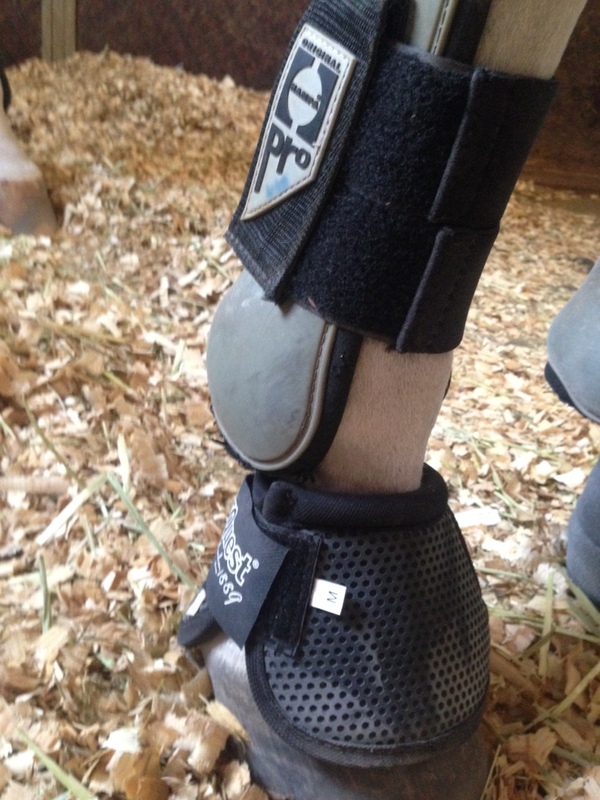 I wasn’t too happy with the results and ended up calling Equestrian Solutions to tell them about my experience. They were kind enough to return the boots for me, thankfully. These boots may be good for arena work, despite the fact that they still turn, but definitely not for hacking/trail rides.